On Weekend & Holidays are Closed. We are here to answer any questions you may have about the products we carry and the services that we offer. 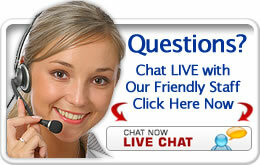 Live chat with us and you will get your answers right away. Write to us and we will respond as soon as we can during normal business hours (9AM-5PM, US Eastern Time). ATTENTION: If you want to communicate with us through the contact us form or leave an offline message. We will respond to your email. Make sure you check your email into Inbox or SPAM folder. SMITH DISTRIBUTORS are not interested in buying International or Domestic products or e-mail offers. If you still e-mail to us about your offer or any of products, We will ignore this e-mail. We have plenty of products in our company. Thank you for an understanding of our policy. BE ADVISE - PLEASE READ DROP SHIPPING PROGRAM BEFORE YOU DO IT - To Make Sure You will understand what is about and everything will be answered in there. VERY IMPORTANT: If you did not receive our CSV File from our email after 24 hours. We want to make sure you check your email into Inbox or SPAM folder. You will see our email called "SMITH DISTRIBUTORS" and our email called SUBJECT: "Hello (Your Name), Here are your 1 CSV Inventory List "RAW - XLS IMPORT FILE (Purchase Order System)" at your e-mail: (Your Email) Example Subject, but will be the same in real email. Either Customer Service Manager or Sales Manager will work on your CSV File in 24 hours processing to email you - (Monday to Friday) No Service on weekend. If you need our help or answer your questions. You have to come to Live Chat with us from 9 am to 5 pm (EST). So, we can work together, if you feel like to do. Just let us know ok?